Founder Ian Thorpe is the founder and creator of two innovative technologies that has received international recognition from a number of top institutions. The first is the Elephant Pump, a cost effective water pump which utilises only locally available materials. The benefit this creates is sustainability, users of the technology are able to maintain and repair the pumps themselves. In many cases pumps are imported from parts of India, this commonly results in communities benefiting from the pump being unable to afford the spare parts when the pump requires maintenance – approximately 40% of these pumps become unusable after twelve months. However The Elephant Pump has an admirable record of pumps still in use, since the introduction of The Elephant Pump – 95% are still in operation today. 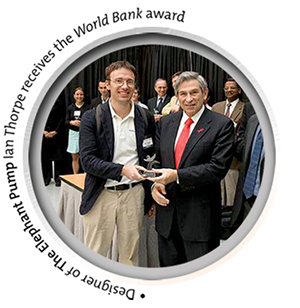 The World Bank awarded Ian Thorpe for the durability, reliability and cost effectiveness of the Elephant Pump with the World Bank Award for Water, Sanitation and Energy. This was awarded in 2006 whereby a record 2,500 entrants submitted innovative technologies to assist in alleviating poverty. 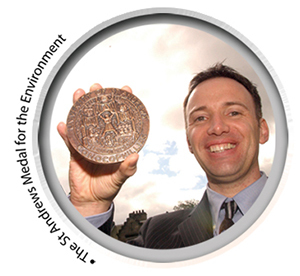 The Elephant Pump was also awarded the St Andrews Medal for the Environment in 2005, competing against 250 other applicants. 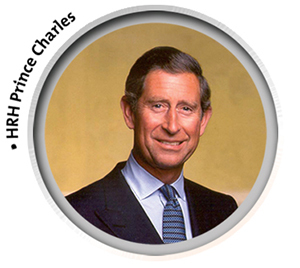 Prince Charles, a patron for the St Andrews Medal, gave a personal recommendation towards this option of water extraction which can be seen via video by clicking this link (link to the video) “Each project has had a direct and positive impact on people’s lives. While it is perhaps invidious to highlight just one of them, I believe a good example is the success of The Elephant Pump project. Based on a 2000-year-old Chinese technique for lifting water, The Elephant Pump is inexpensive, simple to make and repair and made from locally available materials which give users a greater sense of ownership. When more than a billion people live without access to clean drinking water in the world today, it is hard to imagine a better cause than this”. Ian Thorpe then became the first person to win The St Andrews Medal for the Environment on two separate occasions when his design for the Elephant Toilet was awarded in 2008. Since winning the medal, this toilet has been introduced throughout northern and central Malawi. Ian advises heads of state, ministers and heads of major agencies including the World Bank where he helped to develop their policy for $5 billion spending in the water and sanitation sector 2010-2015. More information about the Elephant Toilet can be found under the heading ‘Elephant Toilet’.